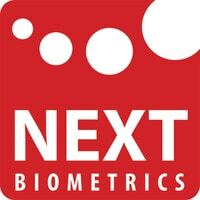 NEXT Biometrics (stock info) offers high quality area fingerprint sensors at a fraction of comparable competitor prices. Product formats for Smartphones, Tablets, PCs, Doors, Time registration systems, Wearables, Payment terminals, Flashdrives, USB-tokens, Key fobs and many more. NEXT is based in Oslo, Norway with subsidiaries in Seattle, Silicon Valley, Taipei, Prague and Shanghai.